August « 2017 « Blog Marcos L. Mucheroni Philosophy, Noosphere and Ciberculture. The individual question of the romantic hero of Don Quixote fighting against windmills, or of the historical determinism of the question of consciousness in Dilthey, are in fact traces of romantic idealism, circumvent the problem and try to solve it from the psychological point of view only. The concept is due to the twentieth century where the idea of ​​combating bacteria has led some people to the extreme of even considering the microorganisms necessary for life, as those who must also be combated and not infrequently find someone with this Touch. Recovering the concept of Immunitas from Roberto Esposito, considering it a false hypothesis, considering the excess of information, clarifying what is common to combat a new epidemic (by immunology): “resistance against the request for extradition of a chief of Foreign state accused of human rights violations, reinforcement against illegal immigration and strategies to counteract the latest computer virus attack? “(page 11), the author will say that nothing separates them. It will say that “the immunological paradigm is not in line with the globalization process… The hybridization, which dominates not only the theoretical-cultural discourse but also the feeling we have today, is diametrically opposed to the Immunization. “(Idem). “The dialectic of negativity is the fundamental trait of immunity.” (Idem) and how many discourses this trait reminds us, apparently within an “engagment” is actually empty, since it is absent from true alternatives, it is purely immune because it accuses the Other . Quote on page 15 Baudrillard, who speaks of the “obesity of all present systems,” in a time of overabundance, “the problem turns more to rejection and expulsion” (ibid.). We’ve gone through floppy disks, CDs, pendrives and now it’s cloud storage, there are good, medium services, but the great ones are still to come. Important detail check that when buying a tablet or notebook if it no longer has a cloud service available, most often fears the user or know how to use, is what is written as 25 GB of storage, may be more or less, but Which means lifelong storage, more secure than any other service. If you put in the tip of the pencil, free services, you will find 5 good: Dropbox, OneDrive, Box, Google Drive and iCloud, but still have ADrive, Amazon, CloudDrive and SpiderOak services that are good, even taking free A little hand in his pocket. The Box is one of the most reliable services in the world, being a well balanced option in terms of space and security, but like some competitors, the disadvantage is the incompatibility with the Linux system. One of the most famous cloud storage services is also one of the most robust, Dropbox has little space for storage in the free plan. The Google product, Google Drive has considerable storage space, syncs photos automatically, has quick features, is already installed on almost all Androids and Chromebooks, making it an easy option for those who already use other services of the company. Constantino Tsallis (1943-), of the Santa Fe Institute is a Greek who is in Brazil, and is a candidate for the Nobel Prize in Physics this year, although he is not Brazilian, as he likes to say: “he and the fans of Flamengo (big soccer club in Brazil) hope for this Novel of Physics “. 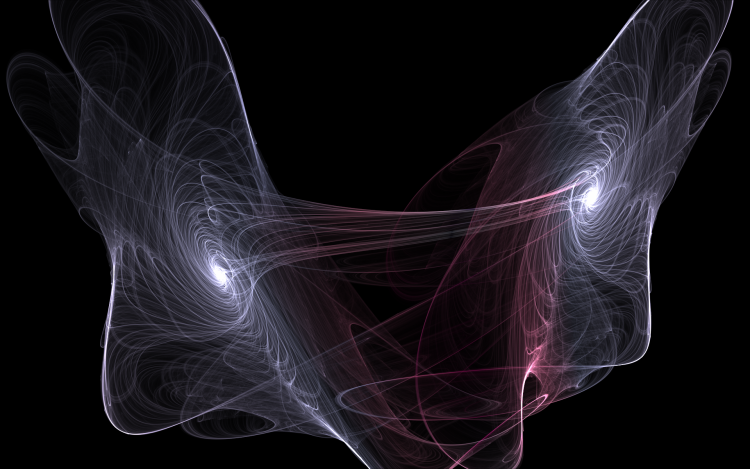 He reworked Boltzmann’s constant to the point of making it more generic, more applicable, and about to change its name (or create a more general constant) called Tsallis. The Boltzmann constant (k or kB) is the physical constant that relates temperature and energy to molecules, kMols as we have learned (or not) in physics classes. The simplest way to arrive at the Boltzmann constant is to divide the constant of the perfect gases by the constant of Avogadro. 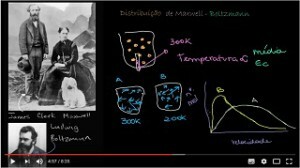 But the contribution does not stop there, the most important concept that comes from physics is that of entropy, and together with Maxwell (although they have never worked together), they constituted what is called the Maxwell-Boltzmann distribution to visualize the particle velocity distribution At different temperatures. Formulated in 1988 by Constantine Tsallis as a basis for generalizing standard statistical mechanics, it can be said almost to refound, it is a generalization of the Boltzmann-Gibbs Entropy, since Gibbs’s Particullah has recently been confirmed experimentally and is also a fundamental result For Standard Physics. The physical relevance of Tsallis ‘theory is already widely debated in the world of physical literature, but it has been only in the past decade that researchers have shown that Tsallis’ mathematics more accurately describes power law behaviors in a wide range of phenomena, The turbulence of fluids to the fragments created in the collisions of high-energy particles. Constantino Tsallis is a candidate for the Nobel of Physics and will attend the EBICC on EBICC da USP-SP-Brazil. We have already pointed out in previous posts the problem of historical consciousness in Dilthey’s romantic reading whose “ideal is to decode the Book of History” (Gadamer, 2006, p.11), and the question of consciousness pointed out by Gadamer himself as The “problem of introducing the hermeneutic problem from the perspective of Husserl and Heidegger” (ibid, p.10), and that in fact the author addresses his Lebensphilosophie (idem), the philosophy of life. The problem of consciousness now seen as a metamathematics, or even as a problem of complexity, is not only a problem of a constant, of a predictable sequence, which may explain much, but not a Alpha and Omega, principio e finally, we would say almost simultaneously. Whatever the cosmogonies and eschatologies thought by human beings, they will all have something in common, we are aware of a beginning and an end, and so we can say that we are aware that “eschatological” consciousness exists. The question in Christian culture that should echo about conscience, and indirectly of our existence since it is life, Jesus asks a sure question to his followers in the gospel of Mark: “Who do men say that I am?” They answered, “John Baptist; Others, Elijah; Others, still, one of the prophets. ” “And you” He asked, “who do you say that I am?” Asking about what kind of truth they encountered in walking with Him and seeing the facts and ideas He spread. The fact that we have no definitive answer to the question of consciousness, I was already attentive to Gadamer is a problem of Lebensphilosophie, that is, what we think about life, and ultimately about the lives of Others, are not the Same, that is, the our Ego. What ought to echo in our hearts is that we cannot say who we are or who we are and become aware of our own consciousness if we do not think of our Being as part of a diverse humanity where the Other is part of Being. The equations and complexities that define life cannot nullify the life that flows into an earthly eschatology that is directed to a divine eternity, either in the Big Bang Theory (a beginning of time) or in String Theory (an abyss in time, see the figure), The physical explanation (something exists) or ontological (the Being exists), we are always aware of the necessity of consciousness, and it should guide us. GADAMER, H.G. O problema da consciência histórica, 3ª. Edição. Rio de Janeiro: FGV, 2006, Brazil. Mathematician and computer scientist Gregory Chaitin, who is Argentinean American and is at the Federal University of Rio de Janeiro, formulated still young from the complexity of Kolmogorov, contributions to the formulation of an algorithmic and meta-mathematical information theory, which was Developed from the formulation of Gödel’s incompleteness theorem, already quoted here in previous posts and its relation with the Turing Machine and Alonzo Church, which gave rise to modern digital computing. Chaitin defined a constant that bears his name and uses the symbol Ω, a real number whose digits are equidistributed, and which is sometimes informally described as an expression of the probability that a random program will be interrupted. The constant Ω has the mathematical property of being decidable but computable we can say separates Hilbert-Gödel’s problem from the Turing / Church problem, but more than that, it gives a key to solve problems in the field of biology (obtaining A formal definition of “life,” origin and evolution) and neuroscience (the problem of consciousness and the study of the mind). In epistemology, Chaitin proposed that both in mathematical logic and in algorithmic theory, “mathematical facts that are true for whatever reason, they are true by accident.these are random mathematical facts.” Chaitin proposes that mathematicians should abandon any hope of proving these mathematical facts and adopting a semi-empirical methodology. In this sense it creates a metaphysics of mathematics, or a metamathematics one, capable of elaborating algorithms that propose a logic of life and even of the conscience, from there are possible the studies of biology and the mind by formulations of this metamathemamatics one. Gregory Chaitin will be at USP at the EBICC event in early November this year addressing the issue of awareness from his perspective. Autonomy linked to the area of Artificial Intelligence (AI) has been changing its connotation over time, and today we can say that it is linked to the generic idea of interaction with information and social environments, which of course is a little too vague. So creating relationships between the field of Intelligent Agents and Complexity development, matters that have a very consistent formalization is Agent-based compueter is a good idea, and makes the concept less abstract. According to Nicholas Jenning (2000), intelligent agents-based computer: “ represents an exciting new synthesis both for Artificial Intelligence (AI) and, more generally, Computer Science. It has the potential to significantly improve the theory and the practice of modeling, designing, and implementing computer systems. Yet, to date, there has been little systematic analysis of what makes the agent-based approach such an appealing and powerful computational model. Moreover, even less effort has been devoted to discussing the inherent disadvantages that stem from adopting an agent-oriented view. Here both sets of issues are explored. A very important point, and little explored yet, but cited by Jenning is the question of social interaction, says the author: “The standpoint of this analysis is the role of agent-based software in solving complex, real-world problems. 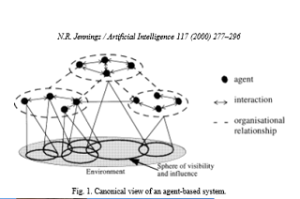 In particular, it will be argued that the development of robust and scalable software systems requires autonomous agents that can complete their objectives while situated in a dynamic and uncertain environment, that can engage in rich, high-level social interactions, and that can operate within flexible organisational structures”. A field that is not well explored is whether robots and intelligent systems that have effective social interaction can be “aware” of this interaction, in the phenomenological sense, which says that it is consciousness of “something” that its activity directed to certain objects. Jenning, Nicholas. On agent-based software engineering . . Artificial Intelligence 117, Science Direct (Elsevier licence), 2000. The proof that Kurt Gödel formalized for number theory was to be followed by a document that demonstrated that the same method applied to large formal axiomatic systems in other contexts, the modern approach made by the Turing Machine (it is important to say that it was done almost simultaneously by Emil Post), is a more general proof and touches the problem proposed by David Hilbert originally. The proof now written in Gödel’s systems language applied to the particular formalization of number theory and sought to demonstrate that it served formal axiomatic systems, but a concept that could not be determined by the original Gödel document because of the lack of definition Mathematics of an effective procedure of a computational algorithm, or what Turing called the Finite State Machine. 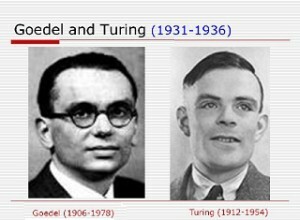 After Alan Turing was able to determine the effective procedure, inventing an ideally idealized computer, now called a Turing machine (also done independently by Emil Post), it became possible to move more generally. Hilbert’s fundamental requirement for a formal mathematical system was that there was an objective criterion for deciding whether a proof was written in the system language. In other words, there is a more modern proof whether it is the Turing machine, whether it is an algorithm, or a computer program, made for proof checking. Thus the modern and compact definition of the formal axiomatic system as a recursibly enumerable set of assertions is an immediate consequence of a program that works with a large set of theorem, which by the amount of axioms, if treated humanely, would take an astronomical amount of time, Some proposals were made earlier in LISP (Levin, 1974) and more recently by Gregory Chaitin (1982) when proposing that the Information Theory of Algorithms proposes to work on individual objects instead of sets and probability distributions proposed by Claude Shannon And Norbert Wiener. So the correct question would be (Chaitin, 1982) how many bits are needed to calculate an individual object? Algorithmic information theory focuses on individual objects, rather than on the sets and probability distributions considered in the information theory of Claude Shannon and Norbert Wiener. How many bits does it take to define how to calculate an individual object? These problems led to Computability theory. This theory, also called recursion theory, is a branch of mathematical logic that originated in the 1930s with the study of functions computable by Alain Turing, and was studied by Kolmogorov, Chaitin, Levin, Martin-Löf, and Solomonoff. There are numerous papers on questions concerning this theory. The question of completeness, or NP-complete class, is the subset of NP problems of computational complexity, verifies how any problem in NP can reduce, with a polynomial time reduction, to one of NP-complete problems, by verifying If the problem is computable, in practice, if the algorithm exists. Charles Babbage built two machines called Analytical Engine and Diferential Engine , these machines, their systematizations and thoughts would not have arrived until we were not working patiently Ada de Lovelace (1815-1852), daughter of Lord Byron who compiled and organized the work of this Pioneer, making it understandable to mathematicians of the time. Later David Hilbert (1862-1943) listed 23 mathematical problems at the time without solutions, one of which was to organize an algebraic system in order to solve the problem computability problem by algorithms, Kurt Gödel thinking about this problem creates a paradox about Completeness of systems, stating that it can not prove having proof by an assertion within the system, then consistency problems weaken such systems. Thus it was necessary that logic, besides being constructed with good properties, had consistency (no contradictions), completeness (any proposition would be either truth or false exclusively) and the systems were decidable (existence of a method allowing to establish if any formula whether the formula was true or false). This latter property was called by Hilbert as the “entcheidungsproblem”, or problem of “decision”. Alan Turing and Claude Shannon working on coding machines (for US government messages) and decoding (a machine called Enigma was captured from Hitler’s army), as both projects were secret, found in meals and work breaks as indicated The book by James Gleick and talk about the problem proposed by Hilbert and not solved by Gödel, a secret document proves this passage of Turing, who was English, by Bell Laboratories, where he worked on deciphering the Enigma machine code. 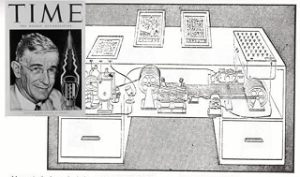 Shannon at that time worked as a monitor at MIT in Vannevar Bush’s laboratory, who had proposed a “read” machine called MEMEX (it appeared in TIME magazine) was not a computer itself, but a machine to cross information from books. Vannevar Bush suggested to Claude Shannon Boole’s Algebra..
Later using the model of the mathematician Alonzo Church that finalized the design of Alain Turing, and the call Turing Machine is actually based on Turing / Church model. 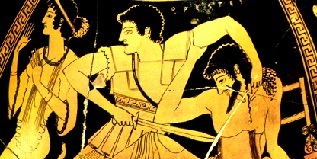 The feminine question about violence and the role of women in society is as old as the history of humanity, the Greek tragedy Oedipus King is iconic to the point of influencing the studies of modern psychoanalysis. 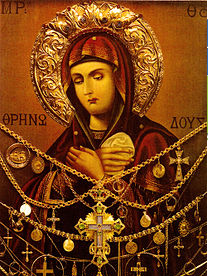 Mother of God, in Greek Teo-tokos, in Portuguese Teotoco, were studied by Origen (254), Athanasius (33) and John Chrysostom (440), in 431 the Council of Trent decreed this doctrine, and therefore is the origin of “All Christianity” and not only in part of it. Well, as for non-Christians, let us return to the tragedy of Oedipus King, we did not say, but the question of masculine and feminine power remains in between, the question of machismo is there after all Jocasta is the villain, and both Husband and son Oedipus, somehow blame her. Jocasta as responsible for the tragedy, even though she tried to dissuade her husband from killing his son, and the son to kill himself. Even the Sphinx, which is a mixture of winged woman and lioness, terrified Thebes, will inquire Oedipus “what is the being that diplo, tripous and tetrapous? , And who in the background inquires about human life, crawls as a child, walks on two feet in youth and needs a cane in old age.